Monday, September 25 6:00 to 9:00 p.m.
Our friends at Vintage Apparel on Coventry Road are hosting a private sale to all Friends of Heights Arts, and you’re invited! 25% of all purchases made that evening will be donated to Heights Arts to support our local arts inititatives. Tell your friends, neighbors, and family! The result of an uncovered treasure of brand new, never-worn apparel made in Cleveland knitting mills from the 60s, 70s and 80s, Vintage Apparel is a local pop-up knitwear shop created by Debbie Gulyas (Blue Arrow Records and the old Renaissance Parlour) and Steve Presser (Big Fun and founding Heights Arts Board member. 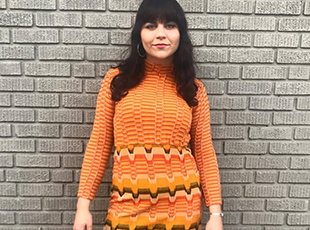 New “old” stock includes original retro designs of sweaters, dresses, skirts, and pants inspired by popular trends, such as Missoni inspired stripes and patterns. 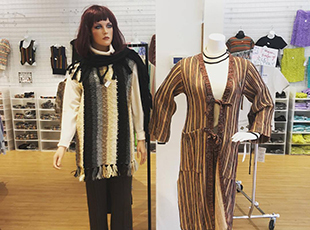 Vintage Apparel is located at 1782 Coventry Road in Cleveland Heights until at least October 30, 2017.